No positive evidence supporting accusations against Ameer Makhoul | The Only Democracy? Makhoul has been in prison for five months now. Amnesty International has described his imprisonment as: “pure harassment designed to hinder his human rights work.” His trial is viewed by many as “a message to Palestinian citizens of Israel … formulated by extreme right wing parties in the current Israeli government” that have targeted Makhoul as “a legal, legitimate, and effective voice of a politically disadvantaged group – Israel’s Palestinian Arab citizens.” This, I might add, is the same government that is now poised to demand that applicants for citizenship (predominantly Palestinian ones) take an oath of loyalty to the “Jewish and democratic” state. Click here for further background and details on Makhoul’s abduction, detention incommunicado, and on what the Committee for the Defense of Ameer Makhoul describes as his “tortuous interrogation” – deprived of sleep and crucial medical care. For months now, Makhoul has been standing trial for alleged espionage, after being told in 2009 by Israel’s secret services that if he failed to tone down his political and human rights activism, they would “tailor a file for … [his] disappearance and prolonged separation from his family.” Trial sessions have been attended by representatives of the EU and the Netherlands. The last session of the case against Ameer Makhoul was held at the Haifa District Court on October 5, 2010. The testimony of the prosecutors’ witnesses heard in this session continued to put the core grave accusations against Ameer in doubt and to shake their foundation. None of the testimonies in this and in the previous session succeeded in any way to connect Ameer to any of the accusations against him. None of the five witnesses, Arab youth and university students who, according to the prosecutors’ claims were approached by Ameer to “enlist them in the service of Hizballah” had any hint of evidence that could possibly be interpreted as connecting Ameer to any of the accusations against him. Neither did the testimony of his family physician and his travel agent. This is in addition to the failed testimony on September 16, 2010 of Yeshai Cohen, the expert police computer investigator who confirmed in court that he found no incriminating evidence against Ameer despite the fact that he had been under surveillance for one and a half years before his arrest including over thirty thousand phone calls from land lines and mobile phones at his home and office. Likewise, no positive evidence against Ameer was found in all the over ten desktop and mobile computers taken from Ameer’s home and office and which remain with the Police to this day. Of special significance was the presence at the court of such public figures as Dr. Hatim Kanaaneh, head of the Public Committee for the Defense of Ameer Makhoul, Israeli Parliament member Dr. Ahmad Tibi and veteran labor leader Benjamin Gonin. This was in addition to representatives of the embassy of the Netherlands and of the European Union. The next session of the court in this case was set for October 21, 2010. 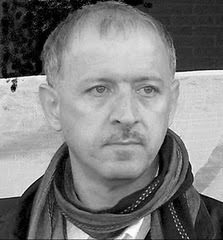 “Ameer Makhoul is a key human rights defender, well-known for his civil society activism on behalf of the Palestinian citizens of Israel. His arrest and continued detention smacks of pure harassment, designed to hinder his human rights work. If this is the case, we would regard him as a prisoner of conscience call for his immediate and unconditional release.” Philip Luther, Deputy Director of Amnesty International’s Middle East and North Africa Programme.